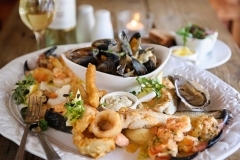 Galway County – European Area of Gastronomy 2018. 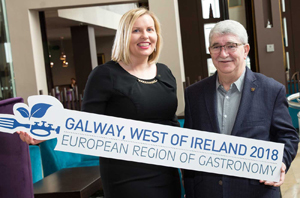 In 2018 Galway became a European Region of Gastronomy and will be the first region in Ireland to be awarded the honour of this designation. The official award ceremony was held in Aarhus, Central Denmark in August 2016 , the first region in Ireland to receive this designation. The award was presented by Phil Hogan, European Commissioner for Agriculture and Rural Development. 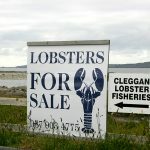 Here is a tour of few eateries in Connemara, chosen to show the variety and quality of the food, particularly seafood, in the area. 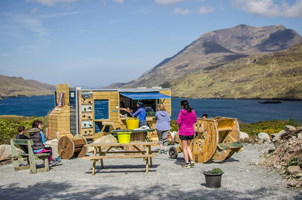 Alongside the road and overlooking the Killary Harbour is one of the most interesting food trucks that you are ever likely to see, in business since Easter 2017 “The Misunderstood Heron” has a menu to interest and satisfy. 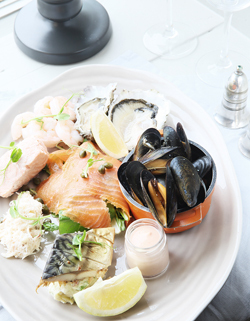 Serving Lamb from the Killary sheep farm, Local smoked salmon and of course Killary mussels results in a food journey that is measured in yards rather than miles. 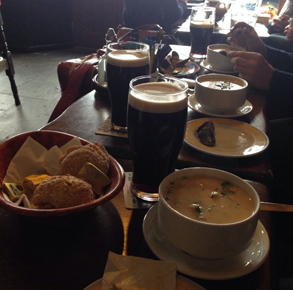 The pub is perfect for anyone looking for a good pint. 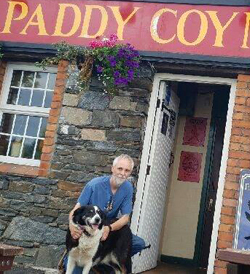 This pub is where the Idea for the Connemara Mussel Festival began, and Gerrard Coyne has been a driving force behind the festival for the last 13 years. 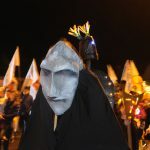 Every May bank holiday weekend natural seafood and local produce is celebrated in Tully Cross as this festival brings families and friends together. or colcannon (potatoes mashed with kale ) combined with scallops or monkfish. 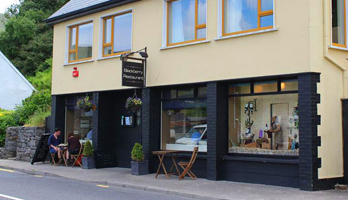 It has to be said that Clifden has a good number and variety restaurants and the healthy competition ensures a very high standard throughout, so it is well worth exploreing. 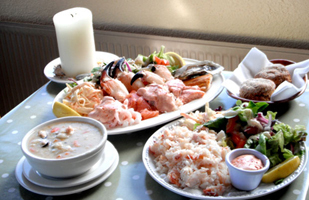 Last but not least O’Dowds is a family run bar and restaurant in the fishing village of Roundstone. The restaurant has thrived over the years and has a varied and interesting menu. The pub won “Pub of the Year” in 2017 , being very popular with locals and visitors alike. There is lots of great food here, but one of their dishes stands out and is known all over the world as a favourite. Long journeys have been made to sample it. O,Dowds Seafood Chowder has had a unique place in food history going back more than twenty years as being the best you will taste.